P.C. Besseling & Zn. 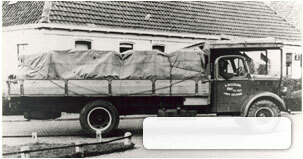 is an 65 year old transport company with a young, modern truck fleet and highly motivated staff. As a "Renown Ornamental Horticulture Transporter" (in Dutch: Erkend Collectief Sierteelt Vervoerder) we deal with all types of logistics throughout the whole of Europe. Our main countries of operation are: The Netherlands, France and Germany.